We are sad for your loss. May you find comfort in knowing your dear one is running free and around you in Spirit as well. Farewell Mondy, you look a lovely poodle and we know you run fast at the Bridge these days. So many losses that we knew and some we didn't like Five Sibes and Sand Springs. Thanks for sharing Zoe's passing her dad is still hurting. And we saw Sugar's mom what a tough loss. 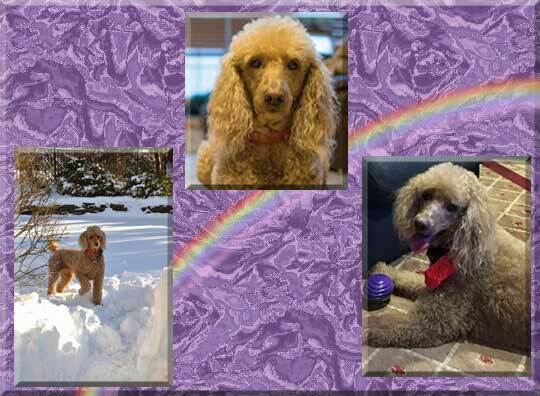 We didn't know Honey, but we checked her blog and could tell she was loved and is missed.